ASX junior, Rumble Resources (ASX:RTR), has penned a binding option agreement to acquire up to 100% of the Long Lake and Panache Projects in Canada from well-known local (Sudbury) prospector, Gordon Salo. Both are considered highly prospective high-grade nickel-copper deposits. This plays nicely into RTR’s strategy to proactively generate a pipeline of quality high-grade base and precious metal projects, critically review them against exacting criteria, and to action low-cost systematic exploration to drill-test for high-grade world-class discoveries. RTR is at a promising stage for shareholders, having recently drilled the Munarra Gully high-grade copper-gold project (currently awaiting assays) and the Nemesis high-grade gold project (assays awaiting) in WA. The company is also scheduled to drill its flagship high-grade Braeside zinc-lead-copper-silver project in August and the Earaheedy high-grade zinc project in September (also in WA). With $3.8 million cash in the bank, moreover, RTR is in well-funded for this busy series of upcoming works. 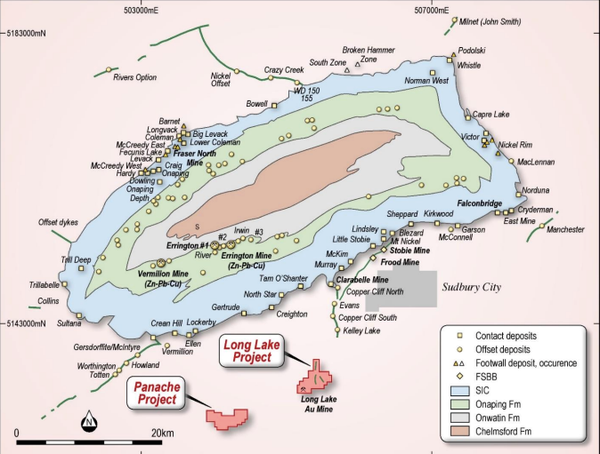 With that in mind, the Long Lake and Panache projects have met RTR’s stringent criteria and will provide shareholders with another near-term opportunity to find a world-class base and precious metal deposit. 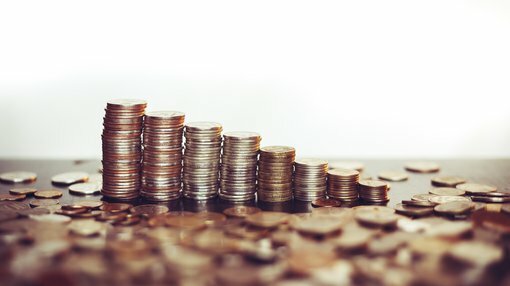 However, success is not guaranteed and any investment decision should be made with caution and professional financial advice should be sought. Since 1883, the Sudbury mining field has been globally significant with the Sudbury Basin, the second-largest supplier of nickel ore in the world — and new discoveries continue to be made. It is one of the most productive nickel-mining fields in the world with over 1.7 billion tonnes of past production, reserves and resources. Nickel-copper and platinum group metals (PGM) bearing sulphide minerals occur in a 60 kilometre by 27 kilometre elliptical igneous body called the Sudbury Igneous Complex (SIC). Nearly half of the nickel ore at Sudbury occurs in breccias and Offset Dykes in the footwall rocks of the SIC. The Copper Cliff South and the Copper Cliff North mine have yielded some 200 million tonnes of ore along the north-south trending Offset Dyke System. Vale Limited’s Clarabelle mill, Copper Cliff smelter and Copper Cliff nickel refinery are all located near the Copper Cliff Offset Dyke. 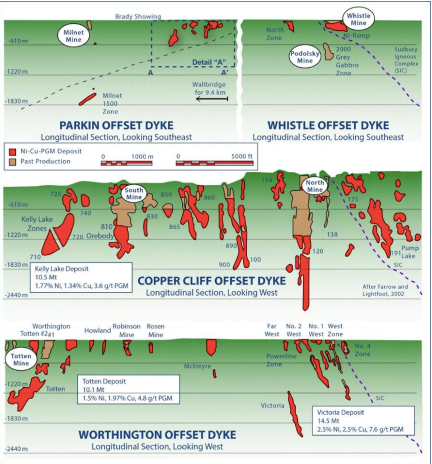 Very significant high value deposits occur as clusters along Offset Dykes and are often blind. The Kelly Lake Deposit was found below a smaller near surface deposit by downhole TEM, and was defined in 2006. The Long Lake Project shows potential for nickel-copper-PGM mineralisation and deposits associated with Sudbury Basin-style Offset Dyke ore systems. Intriguingly, the project area lies some 10 kilometres southwest of the Kelly Lake nickel-copper-PGM (10.5Mt at 1.77% nickel, 1.34% copper, 3.6 g/t PGM reserve), which lies at the southern end of the major Copper Cliff Mine Sequence. 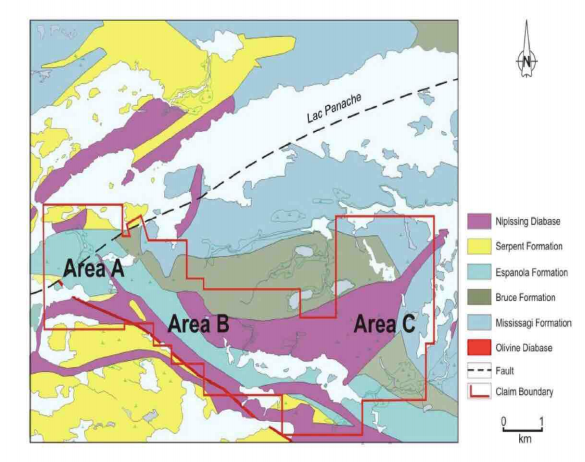 Fieldwork (including a single shallow diamond drill-hole) has highlighted Sudbury Breccia and quartz diorite (a known host for Sudbury Basin deposits) occurrences over several kilometres of strike. The occurrence is inferred to be the faulted southern extension of the Copper Cliff Offset Dyke. So far, no deep penetrating ground TEM surveys have been conducted to test for nickel-copper-PGM massive sulphide mineralisation — something RTR will explore in the not-so-distant future. 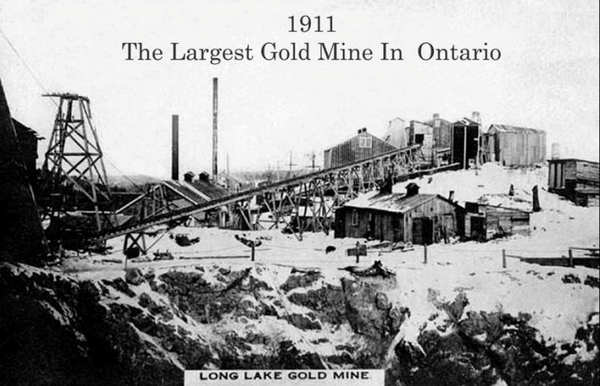 The Long Lake Project also hosts the historic Lake Gold Mine, which produced 57,000 ounces of gold from over 200,000 tonnes of ore mined in the periods 1910-1916 and 1932-1939, with an average recovered mill grade of 9 g/t gold. The Panache Project is located 40 kilometres southwest of the city of Sudbury, Ontario. The project hosts a large portion of the Panache gabbro intrusion, which is part of the regional extensive Nipissing Gabbro Suite (some 2215 million years old). Here, potential mineralised feeder dykes associated with layered gabbroic intrusions have been identified by mapping and surface geochemistry. No ground TEM has been completed. Rock chip assays of up to 1.1% cobalt, 6.01% copper, 1.47%, nickel, 3.5 g/t PGMm and 524 g/t gold have been collected from surface sampling. At the Long Lake Project, RTR will target blind Sudbury Offset Dyke-style massive nickel/copper/PGM type deposits by using high power ground TEM to generate potential conductors. In regard to the Panache Project, RTR plans to target high order base metal with PGM surface anomalism inferred to be potential feeders to gabbroic intrusions, using high power ground TEM to generate potential conductors. RTR will embark on diamond drilling to test conductors that may represent massive nickel-copper-PGM sulphide mineralisation.